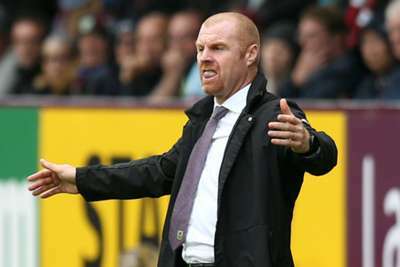 Sean Dyche urged Burnley to "get on with" the difficulty of balancing Premier League and Europa League campaigns after a disappointing home defeat to Watford. With the Clarets playing 120 minutes against Istanbul Basaksehir on Thursday to set up a meeting with Olympiacos this coming week, the effects of their endeavours perhaps showed in a tired display on Sunday. Watford struck at the start of each half as Burnley, unable to muster a fightback, slumped to a 3-1 loss, but Dyche does not want his side to lean on an excuse in the form of the fabled Europa League hangover. "It's a story that started five months ago. It's here, it's real and we have to get on with it," he told a post-match news conference. "Our performances have been good and we were the better side for the first half. Watford deserved to see the game out, but we were better in the first half." Dyche was also frustrated by Will Hughes' match-winning role after the Watford midfielder was only booked for a heavy challenge on Stephen Ward, having earlier escaped punishment for another robust tackle. "[Hughes] shouldn't have been on the pitch to score," he said. "I looked at that [challenge] and thought he should go, then he scored a really good strike. I'm frustrated. "I was four feet away from it so I was on top of it. It was a bad tackle. He was off the pitch - that's how out of control he was. It should have been a sending off. "You can't have that because it could really hurt someone." Watford's win was their first in 13 away from home, but Javi Gracia preferred not to dwell on their dismal run after finally getting off the mark on the road. "We scored three and we have done better than last season, but I don't like to look back at last season," he told BBC Sport. "I prefer to enjoy the moment. We did a good job and I'm happy for the players. "It is important the amount of goals but the quality as well. The strikers, Troy Deeney and Andre Gray, scored. It is very important for them and the team. Will Hughes scored an outstanding goal. I am happy for all of them." 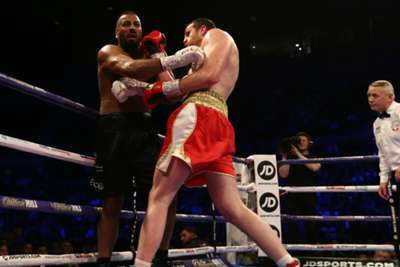 Kash Ali's trainer says the Birmingham fighter "got off lightly" for sinking his teeth into David Price.